Are you experiencing some issues with your Samsung Galaxy S5? Maybe it’s running a little slow lately or some error message keeps on popping up when you are using it. In cases like this you may want to do a factory reset on your device. What this procedure does is it returns your phone to the condition when you first bought it except of course for the Android software version which will be the latest update. A factory reset however should be the last course of action that you should take when troubleshooting your device. You should consider other courses of action first such as rebooting your phone or clearing the cache and data of a particular app. You should also try starting your phone in Safe Mode first to check if the issue gets resolved. The reason why this is recommended as the last option is that it erases everything in your device. This means that you will have to back up your data first and once the procedure is done you will have to restore your data and install your apps. 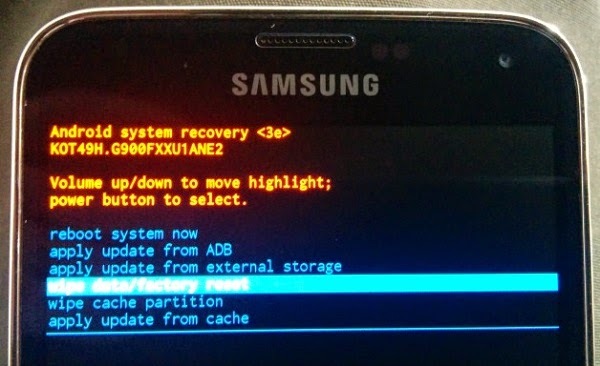 There are two ways to perform a factory reset which is shown below. (It is important that you backup your data first before performing this procedure. You can choose either of the two procedures above as they will have the same end result. The factory reset using hardware keys is done when your phone is unresponsive and you can’t navigate to its menu choices.